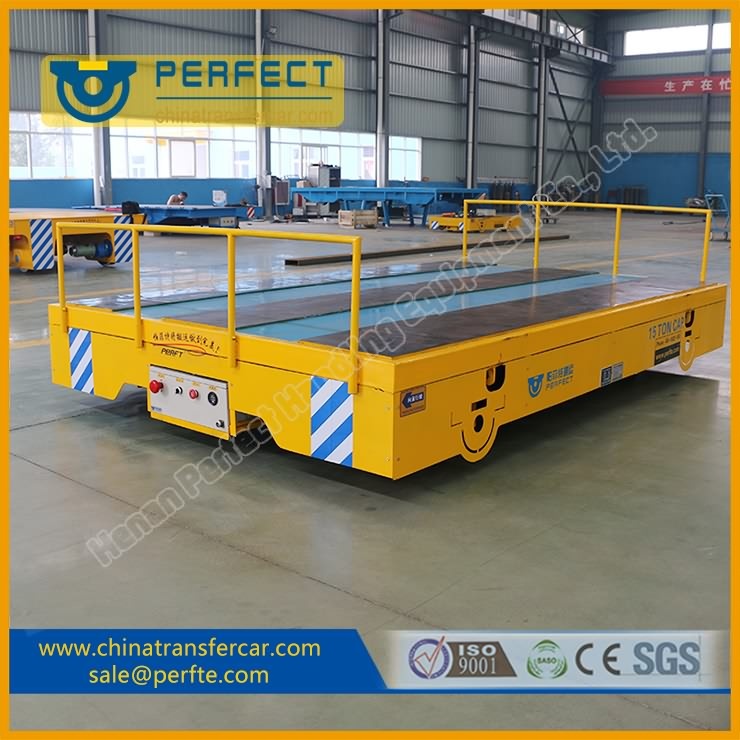 The Die Transfer Cart, manufactured by Henan Perfect Handling Equipment Co., Ltd, fills the blank of this special industrial field. There are some differences between the ordinary transfer carts and die transfer carts. 1. The standard parts of the common transfer carts are pendant, remote controller, warning light, radar detector. The line of the pendant is protected by line glove, which protect the line from abrasion and increase the using security and life. 2. There are some new functions added to the die transfer cart. (a) The speed can be controlled directly by pendant or remote controller for increasing or decreasing speed. (b) Considering the security and saving energy, one special function is added to the electrical box, which is the die transfer cart will power off automatically after no man operates within 5 minutes. If you want this cart to start working again, you have to push the power start button. (c) If the power source of the battery decreases to 20%, the warning light will flash and stop the cart, which can protect the battery from loss so that reducing the using time. The die transfer carts are more suitable to finished warehouse while the rail still having not been installed. Using die transfer cart reduces the using space of one plant.